The first resurrection very well could be the cumulative of all the redeemed, since the unredeemed are not resurrected until Revelation 20. Matthew 27:52-53 is the first of these. It happened shortly after Yeshua's resurrection. They are called saints, thus they are the redeemed. (Lazarus, the daughter of Jairus, etc were never called saints). Now the scripture doesn't say, but some of the early church writers who know the Apostles or knew disciples of the Apostles wrote that these resurrected saints were taken to the Father by Yeshua. Dr. Norman Geisler did a very detailed and documented paper on this available online. That conforms with the harvest requirements of Leviticus 23. Yeshua told Mary not to touch Him as He had not yet ascended to the Father. As our High Priest, He would be required to offer the First Fruits of the Harvest to the Father. Yeshua is the first fruits of those who live, but He is not the First Fruits of the Harvest. After that was accomplished then later He appeared to the Disciples and others and ate with them and was touched by them. There will be the resurrection at the removal of the righteous before the antichrist is revealed. There is the resurrection of the two witnesses in Revelation. 3 resurrections at least with more possible, but all involving redeemed only and classed within the First Resurrection. The second resurrection is the one at the end of the age when all from time past who were not part of the First Resurrection, the unredeemed, are resurrected to face the prosecutorial Great White Throne Judgment where the evidence will be presented that the Lord in just in His condemnation of them. It is a possible analysis. I am not saying it is written in stone. But it seems to fit best for me and conform to scripture. Ok. I like to use the Golden Rule of Hermeneutics when it comes to interpreting scripture instead of allegorical interpretation, so it is likely we will see the passage differently. Enjoy! I guess my questions would be.... are they Believers? If that is the case, then they would be part of the redeemed, correct? And would that not make them also part of the Body of Messiah like all believers? And would that also not place them in the category of being part of the Bride of Messiah along with all believers? Assuming the above are all affirmative, then would they not also be removed as part of the Bride? The virgins in the Parable are not the bride. they are the bridesmaids. Yeshua is not a polygamist and the Bride doesn't get a down grade to bridesmaids. My assertion that the Virgins of Matthew 25 as regarding the Hebrews, it would conform to Hosea 5:14-15 / Matthew 23:37-39. According to those verses, Yeshua will not return until the collective Hebrew people acknowledge their rejection of Yeshua and petition for His return. I believe that is one of the chief goals of the tribulation period... to drive the unbelieving Hebrew people to the brink and finally get them to realize that Yeshua was the one they should have been looking for all along. Of course, like with anyone else, not every Hebrew individual that makes it thru the period will believe. Those that do would be the wise virgins and those that don't the foolish virgins. And according to Ezekiel 20:37-38, the Lord will sort them out accordingly. I think you misunderstood my post based on the way you responded or jumped the gun without really reading it and thinking about it. I would disagree with the highlighted assertion on two counts. 1. Those taken are equated in the passage to those taken during the flood of Noah, which was those who were condemned in the flood. That would mean those taken in Matthew 24 are condemned individuals not redeemed. 2) The Matthew 25 Parable of the Virgins is about the bridesmaids of the wedding. If it refers to the redeemed, then we got a downgrade from Bride to Bridesmaids. Not likely. The Bride (redeemed) was removed at the beginning of the Tribulation period and the Groom and Bride are joined in the Chupah (wedding chamber) where the consummate the marriage and become one. They then return later and that is when the wedding feast begins. Both passages have an illusion to Ezekiel 20, speaking of the Hebrew people.... Ezekiel 20:37-38 “I will make you pass under the rod, and I will bring you into the bond of the covenant; 38 I will purge the rebels from among you, and those who transgress against Me; I will bring them out of the country where they dwell, but they shall not enter the land of Israel. Then you will know that I am the Lord. The event is at the end of the tribulation period. Those that made it thru will be judged on who will go into the 1000 year Messianic Kingdom to repopulate the earth. Those that don't make the cut will be purged out and cast off. One problem with applying the Virgins of Matthew 25 to those of the "church" or redeemed. If they are the believers, then we got a down grade. The redeemed are the Bride of Messiah. The virgins are the bridesmaids. They are waiting for the Messiah and Bride to return from the seven days of the Chupah, or wedding chamber, which is when the wedding feast begins. A simple study of the 1st Century traditional Hebrew marriage clears this stuff up. I recommend you check out books by a Hebrew believer, Alfred Edersheim.... "The Life and Times of Jesus the Messiah" and "Sketches of Jewish Social Life". The Bride (redeemed) has already been removed to join the Groom (Messiah) together in the Chupah (wedding chamber) at the beginning of the tribulation period. They consumate the marriage during that time and become one. The word is put out that the groom and the bride will return and the wedding feast will begin. The guests come to be ready for the Groom's return. The story of the Virgins is those of the Hebrew people that go thru the Tribulation Period. At the end some will have turned to Yeshua and be ready for Yeshua's return and some will not have turned to Yeshua and be cast out because He doesn't know them. It has a illusion to Ezekiel 20. Ezekiel 20:37-38 “I will make you pass under the rod, and I will bring you into the bond of the covenant; 38 I will purge the rebels from among you, and those who transgress against Me; I will bring them out of the country where they dwell, but they shall not enter the land of Israel. Then you will know that I am the Lord. The Matthew 25 virgins account, both those who were wise and those who were foolish, is at the end of the tribulation period. This idea that the virgins are the redeemed, some ready and some not, degrades Yeshua's atonement. A person is either justified (redeemed) thru Messiah or not, and confuses Justification with Sanctification. There is no partial justification, and likewise, no partial rapture. To put the redeemed as the virgins suggests some sort of protestant purgatory is going on and that being redeemed is a works righteousness gig. My bad if I misread into what you posted. It can be a common mistake done by many in reading forum posts, and it seems I may have made that mistake. Just an old coot! The account in Acts, Ananias and Sapphira were not judged on holding back resources, but for lying about it to the Holy Spirit. It was their property, they could do with it what they wished. They were not required to contribute any or all of it. They claimed that what they gave was all of it. They lied and tried to make themselves look like something they were not, pure and simple. Even Peter acknowledged in the account that it was their property and they could have done what they wished with it. Even after selling it. They were promoting a falsehood. Many in the congregation were giving all of their earthly possessions. A & P wanted to look like they were doing the same thing and promoted the lie that they were. That is what got them in trouble. The context of 2 Thessalonians 2 is laid out in the very first verse... 2 Thessalonians 2:1 (1599 Geneva Bible) Now we beseech you, brethren, by the coming of our Lord Jesus Christ, and by our assembling unto him, The context of the passages is about our gathering to the Lord. In verse 2, the Thessalonians were troubled that they had missed something and that they were already in the Day of the Lord, or tribulation period. Obviously in the same verse, due to a false letter that they got claiming to be from Paul. So then, Paul reminds them... 2 Thessalonians 2:3 (1599 Geneva Bible) Let no man deceive you by any means: for that day shall not come, except there come a departing first, and that that man of sin be disclosed, even the son of perdition. Virtually every translation up to the KJV used "departure", "the departing", etc to translate the passage. Even the Latin Vulgate (4th century) used "dicessio" which has a physical or spacial departure in view, not a doctrinal departure, defection, or rebellion. Now apostosia and its variant aphistemi in Greek literature can mean a physical departure or a doctrinal departure. How it is to be viewed is the context of the passage. And in verse 1, our gathering to the Lord is in view, not our departing from the Lord. So apostosia can only refer to a physical, spatial departure. And this idea is further expounded on by Paul a few verses later.... 2 Thessalonians 2:7-8 (1599 Geneva Bible) For the mystery of iniquity doth already work: only he which now withholdeth, shall let till he be taken out of the way. 8 And then shall that wicked man be revealed, whom the Lord shall consume with the Spirit of his mouth, and shall abolish with the brightness of his coming, The only "he" that can restrain evil is the Holy Spirit. And the HS indwells the redeemed. So fitting with the context of the previous verses of our gathering or assembling to the Lord, it would seem the redeemed are removed before the Man of Sin / Antichrist can be revealed. The HS job of delivering the bride to the Messiah is complete (analogous to the servant and bride of Genesis 24) and now He steps aside and the wicked one / man of sin / antichrist is revealed. Dr. Kenneth Wuest (1893 - 1961), Greek Scholar and head of Moody Bible Institute NT Greek department for several decades, did detailed analysis of the passage and arrived at the conclusion that it is speaking of a pre-trib removal of the righteous. Dr. Andy Woods (Lawyer, Theologian, Pastor) decided in 2018 to evaluate Dr. Wuest's analysis. Woods also came to the same conclusion and even more so by declaring that 2 Thessalonians 2:3 was the pre-trib removal of the righteous, or "rapture"... "game, set, match". And that is supported by King David in Psalms 27:5, which would seem to be the same "trouble" mentioned in Jeremiah 30:7. Also in Isaiah 26:19-21, which I believe Paul had in mind when he wrote 1 Thessalonians 4:16-18. 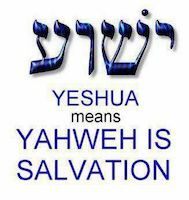 And I also am convinced that Yeshua had that passage in Isaiah 26 in mind when He made the statement in John 14:1-3. And in Isaiah 26.... Isaiah 26:19-21 (NASB) Your dead will live; Their corpses will rise. You who lie in the dust, awake and shout for joy, For your dew is as the dew of the dawn, And the earth will give birth to the departed spirits. 20 Come, my people, enter into your rooms And close your doors behind you; Hide for a little while Until indignation runs its course. 21 For behold, the Lord is about to come out from His place To punish the inhabitants of the earth for their iniquity; And the earth will reveal her bloodshed And will no longer cover her slain. John 14:1-3 (NASB) “Do not let your heart be troubled; believe in God, believe also in Me. 2 In My Father’s house are many dwelling places; if it were not so, I would have told you; for I go to prepare a place for you. 3 If I go and prepare a place for you, I will come again and receive you to Myself, that where I am, there you may be also. 1 Thessalonians 4:16-18 (NASB) For the Lord Himself will descend from heaven with a shout, with the voice of the archangel and with the trumpet of God, and the dead in Christ will rise first. 17 Then we who are alive and remain will be caught up together with them in the clouds to meet the Lord in the air, and so we shall always be with the Lord. 18 Therefore comfort one another with these words. Psalms 27:5 (NASB) For in the day of trouble He will conceal me in His tabernacle; In the secret place of His tent He will hide me; He will lift me up on a rock. Jeremiah 30:7 Alas! For that day is great, So that none is like it; And it is the time of Jacob's trouble, But he shall be saved out of it. So the righteous are indeed removed and hidden away before the Lord comes out of His place to punish the inhabitants of the earth. It does not say how much before, but from 2 Thessalonians 2:3 and others, we can reasonably assume it is before the first seal of Revelation 6 is opened and the antichrist is revealed. Well, one thing that seems to get overlooked.... the believers now make up the bride of Messiah. The virgins in Matthew 25 are the bridesmaids. If it is talking about believers, then we all got a down grade. Not likely. The judgement is of those who are eligible to enter into the Messianic Kingdom. The kingdom of heaven is related to the Messianic Kingdom on earth. Yeshua was always saying the kingdom of heaven is near, which was His offer to establish the kingdom on earth and rule. But they would have nothing to do with it and rejected it. So the offer was withdrawn and was fully established in Matthew 23:37-39 that it would not happen until they acknowledged Him as Messiah as per Hosea 5:14-15. There will be those that survive the tribulation period and they will be divided into those that go into it and those who won't. A thorough study of the book of Ruth adds a lot of insight to the roles of the Hebrews and the Bride. The virgins of Matthew 25 is speaking of Hebrews who survive and is related to to this passage which is separating those who have finally acknowledged Yeshua as Messiah (Hosea 5:14-15) and those who have not.. the rebels... Ezekiel 20:33-38 “As I live,” says the Lord God, “surely with a mighty hand, with an outstretched arm, and with fury poured out, I will rule over you. 34 I will bring you out from the peoples and gather you out of the countries where you are scattered, with a mighty hand, with an outstretched arm, and with fury poured out. 35 And I will bring you into the wilderness of the peoples, and there I will plead My case with you face to face. 36 Just as I pleaded My case with your fathers in the wilderness of the land of Egypt, so I will plead My case with you,” says the Lord God. 37 “I will make you pass under the rod, and I will bring you into the bond of the covenant; 38 I will purge the rebels from among you, and those who transgress against Me; I will bring them out of the country where they dwell, but they shall not enter the land of Israel. Then you will know that I am the Lord. And the sheep and goat judgement of Matthew 25 is regarding the nations (gentiles) being judged in similar fashion, and is a discourse on..... Joel 3:1-2 “For behold, in those days and at that time, When I bring back the captives of Judah and Jerusalem, 2 I will also gather all nations, And bring them down to the Valley of Jehoshaphat; And I will enter into judgment with them there On account of My people, My heritage Israel, Whom they have scattered among the nations; They have also divided up My land. And those who hold to it really have a myopic understanding of the scripture. Evil with still be in the kingdom. Sin will still be a part of the kingdom. And yes, even death will still be a part of the kingdom. All 1000 years of it. And it will culminate with one last major rebellion against the Lord when Satan is released and foments a worldwide rebellion. Revelation 20 and Psalms 2. So if the second coming is to bring personal and political wickedness to a screeching halt, then the scripture sure paints another picture. The kingdom parables of Matthew 13 show a less that rosy picture as well as Ezekiel where those who will not go up to Jerusalem for the feast of Tabernacles will have rain withheld from their land. Isaiah is pretty clear that death will still be in the kingdom. And Psalms and Revelation show us that Yeshua will be ruling with a rod of iron. Well if he had brought all wickedness to a screeching halt, what would be the purpose of ruling as a heavy handed dictator? No, there will still be discontent and rebellion in the kingdom that will have to be dealt with. Even when given ideal conditions, a virtual restoration of the the Garden of Eden existence, the sinful heart of man remains. Those that survive the tribulation period and go into the kingdom will still be mortal. They will repopulate the earth. They will still have their sin nature intact. And eventually, almost the entire kingdom will rebel. The apple doesn't fall far from the tree. I would ask then, what is the purpose of the tribulation period? What is its ultimate goal? Who is its major focus? I guess that begs the question, which popularized idea? Pre-trib is most definitely the minority opinion. I think anyone who does a casual study of the various positions over the centuries would have to admit that if they are honest. Most of the formal church has tended to be amillenial or post-trib, with preterism hitting all time highs in some theological circles. Mid-Trib seems to get less attention, but still has more adherents that pre-trib. Yeah, pre-trib is definitely the black sheep of the flock of eschatological concepts. It suffers an inordinate amount of abuse given the small percentage of formal adherents to the idea. Surprisingly, I have never felt intimidated being in that black sheep category. And I have no angst against the other positions though I disagree on many points with them. I have no problem stating what position I hold and why, but I waste little effort trying to tear apart the other concepts. I guess I just don't feel threatened by the other positions. It was a fallacious comment to get the point across. A metaphor. Apologies to those who never studied literature. I sure wasn't quoting anyone that I am aware of. I think the reaction to the comment is telling though. Some folks really do seem wound too tight. When I catch myself getting that way, I break out my Triumph motorcycle and spend a few hours just getting away from everything. Just focusing on the beauty God has created and letting the wind hit me in the chest. But each person has their own way. I think you have that misplaced. You perceive it as religious cowardice and you hate it. The scripture says it is our blessed hope. So who should I believe, you or the HS? No brainer. Wow. You didn't make a dent, but it is interesting how those who disagree with the pre-trib will attribute it to all kinds of ills that befall mankind. Not sure how the pre-trib erodes confidence in Christ's ability to deliver the believer from trouble. You stated that you felt divine providence delivered you in your military service. Not sure how any rapture position affected that. But to equate anecdotal experience and the GT period, I am not convinced you have a grasp on what the purpose of the GT period is. And what of the brothers and sisters in N. Korea, Iraq, Iran, Sudan, etc that are going thru their trials? Will not the Lord show that same deliverance for them that you are claiming? Again, it all centers around what the purpose of the GT period is in comparison to the existence today in the world. But if you choose to see Yeshua as not coming till later in the game, that is totally your call. I don't accept that, but I don't mind that you do. I think it all comes down to an understanding of what the GT period is all about. I don't believe it is a protestant purgatory where we prove our metal. Scripture seems to suggest the GT period has other motivations in mind. And those motivations have nothing to do with those already redeemed when it starts. And I really don't see Yeshua essentially following this pattern that the other positions seem to like.... "We will get betrothed. One day I will come for you, but before I do, I will beat the living snot out of you for 7 years, then I will come and we will have dinner. Comfort one another with those words." Again, I really could care less if anyone thinks I am in error. None of this has anything to do with justification, so no need that we call each other names or nasty stuff. But it seems that many don't just disagree with the pre-trib, but despise it enough to cause their blood to boil. How can something like that cause so much angst? And why is it that secular writings also spend an inordinate amount of time explaining away the pre-trib model, but waste very little time on the other positions? Satan seems to be just as vexed by the pre-trib concept as many in the church. When one steps back and looks at all this, it almost lends credence to the pre-trib model. For me anyway, I am reminded of Billy Shakespeare... "me thinks ye doest protest too much". I know I waste little effort explaining the errors of the other positions. It is said when determining counterfeit money, the best way to learn how to see the counterfeit is to study the real money. Likewise, I really am comfortable with the pre-trib model and the scripture that supports it that I don't feel threatened by the others so I really don't try to take apart those positions. C'est la vie.